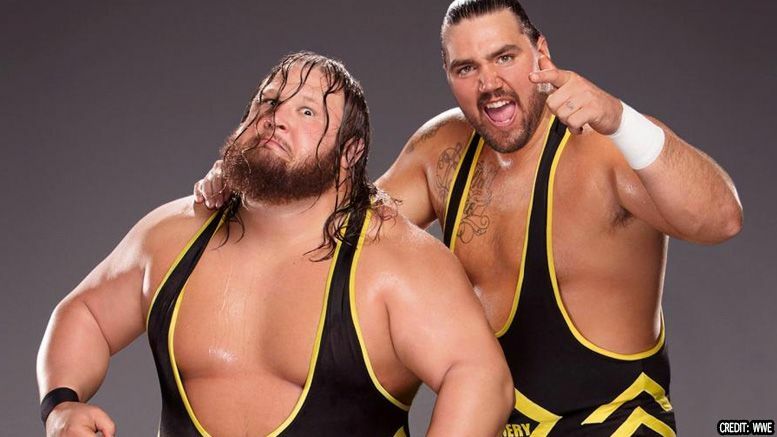 Heavy Machinery’s Tucker Knight and Otis Dozovic are the latest WWE Superstars to undergo a slight name change. According to their WWE.com profiles, Otis and Tucker both had their kayfabe last names dropped. As you may have seen, the tag team failed in their bid to become the number one contenders for the Raw Tag Titles last night. They were defeated by The Revival in a Fatal-4-Way Tag Team Match which also featured The B-Team and Lucha House Party. It’s not uncommon for NXT call-ups to undergo modest name alterations. Rusev was once known as Alexander Rusev. Andrade ‘Cien’ Almas is now just Andrade. And Apollo Crews once had his last name dropped before the powers that be decided to give it back to him a few weeks later. What do you think of the Heavy Machinery name changes? Let us know in the comments.